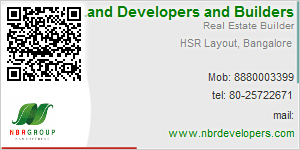 NBR Developers & Builders Pvt. Ltd., is a young, dynamic and vibrant real estate developer from Bangalore formed to fulfill the aspirations of people to have their own house. NBR Property Developer has pledged itself towards fulfilling this aspiration of people and has since 1998 worked in creating residential plots in Hosur, Plots, Villas, Apartments, Houses, Lands, RealEstate, Flats for sale. The Company is managed by NBR Brothers Mr. Nagabhushan Reddy & Mr. Aswathnarayan Reddy. The Company commenced its operations in Bangalore in the year 1998. Its primary business is creation of residential plots and building residences. In addition, it has also identified infrastructure development as business line for future growth. Its operations span across various aspects of real estate development, such as land identification and acquisition, project planning, designing, marketing and execution. The Company's vision as a real estate development company is to develop self-reliance in young people and help them to have a home of their own. Wrapped around this vision is the company's mission to deliver unique integrated lifestyle and work place environments and planned developments. One of its main focus areas is developing integrated master planned communities means wherein the developments have one or more community facilities, including hospitals, schools, retail and commercial buildings enabling a "LIVE, WORK and PLAY" theme within the same development. 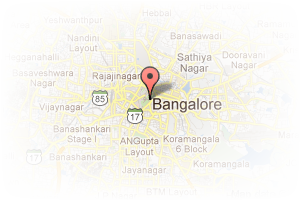 Address: 17/R,1st Floor,18th Cross,18th Main, Sector 3, HSR Layout, Bangalore, Karnataka, India. This Builder Profile page for "NBR Trifecta" has been created by PropertyWala.com. "NBR Trifecta" is not endorsed by or affiliated with PropertyWala.com. For questions regarding Builder Profiles on PropertyWala.com please contact us.